Checkout my backstage interview with Skillet lead singer John Cooper at Rockfest 2010. Skillet is a hard rock band from Memphis, Tennessee. 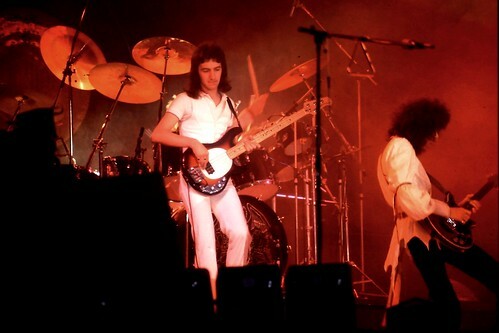 To date the band has released eight best selling albums and sold over 2 million copies worldwide. Skillet has also been nominated for two Grammy awards and has seen a recent boom in popularity due to increased radio play. Their latest album Awake is their most popular record to date, debuting at #2 on the Billboard Charts and featuring their two biggest singles Monster and Hero. With fall tours lined up with superstar acts like Creed and Papa Roach, and plans to be part of the Winter Wonder Slam Tour with Tobymac later this year, Skillet looks to continue tearing up the charts as they rise like monsters to the top of the rock music world. –BryanStars is a music blogger dedicated to bringing you exclusive interviews and behind the scenes video with your favorite bands and artists For more of my videos, including interviews, music news, song premieres and more, please subscribe to my YouTube Channel www.YouTube.com Check out my official website www.BryanStars.com Follow me on Twitter http Like me on Facebook www.Facebook.com Thumbs Up, Comment and Subscribe!! www.amazon.com The grand finale of the first day of the 2008 Hard Rock Calling Festival on 28th June 2008 in Hyde Park, London. Pro shot video clip with excellent audio quality. It was an unforgettable day and my first chance to see Mr Clapton live.